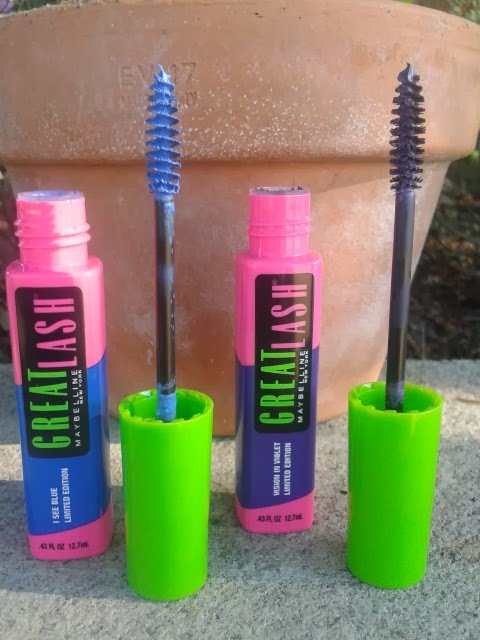 I went into the store the other day and decided to browse around the make-up section when I noticed a little stand of these new Limited Edition Great Lash colored Mascaras from Maybelline! 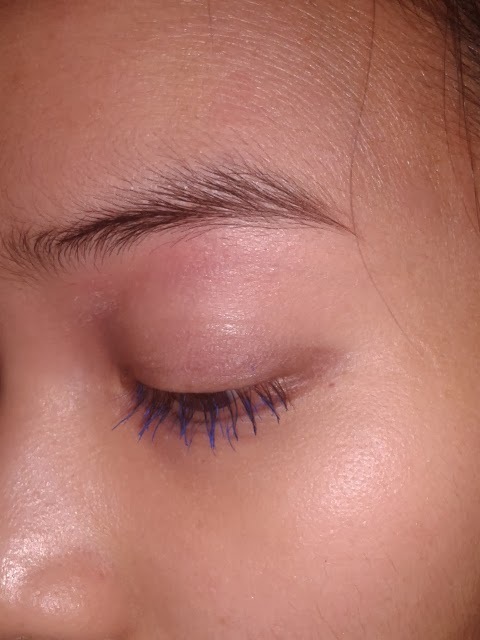 I don't really wear mascara but when I saw these colored ones, I knew I had to try them out and see if they would actually show up on my black lashes. I picked up two colors: I See Blue and Vision in Violet. 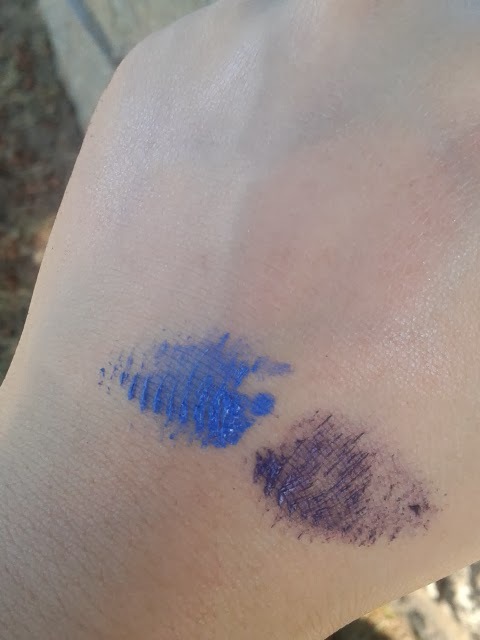 The colors when I brushed them on my hand showed up true to their color so I was excited to see how they'd transfer to my lashes. I took pictures without flash and with flash. As you can see below, the blue is definitely noticeable which I love. It adds the nicest pop of color and wears great. 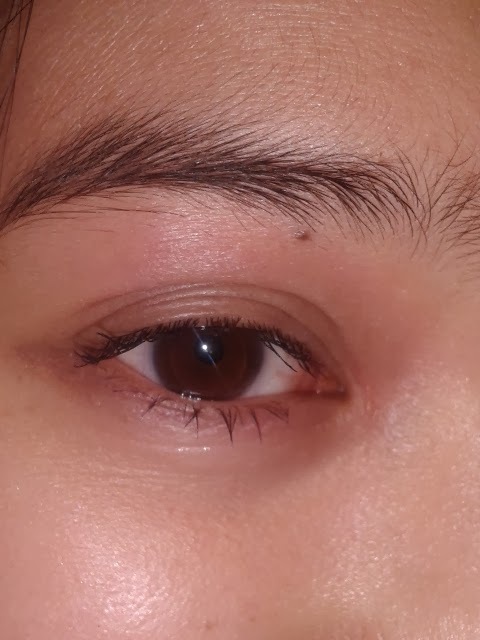 It didn't smudge on me at all and came off easily with eye make-up remover. The purple on the other hand was not so noticeable--actually, it wasn't noticeable at all. 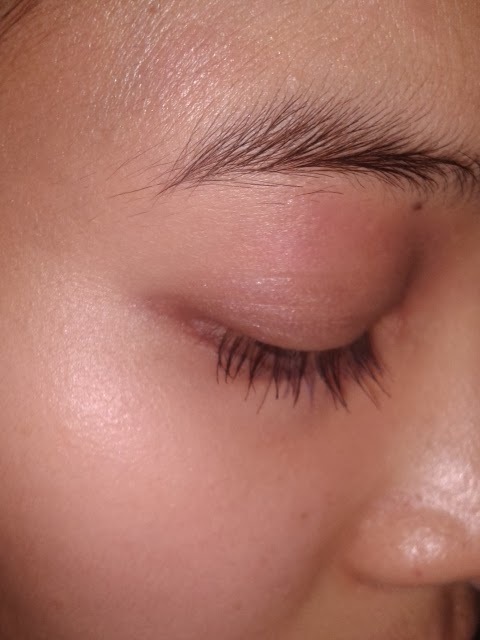 It just looked like black or dark brown mascara on my eye lashes. 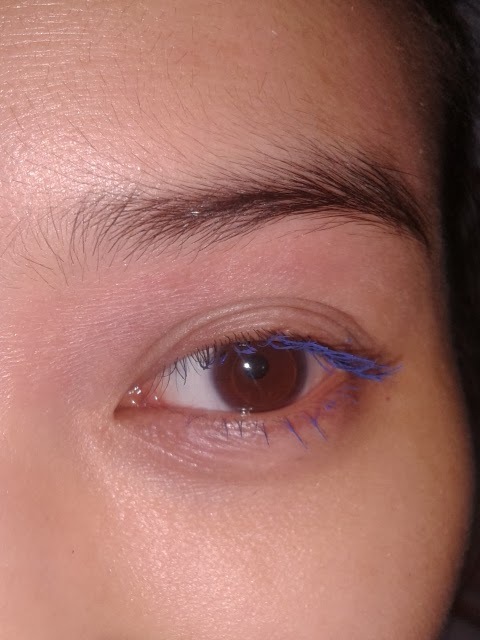 I found a way for the purple to somewhat show and that was by using some mascara first, dusting some translucent powder on my lashes and then coating it with the colored mascara. 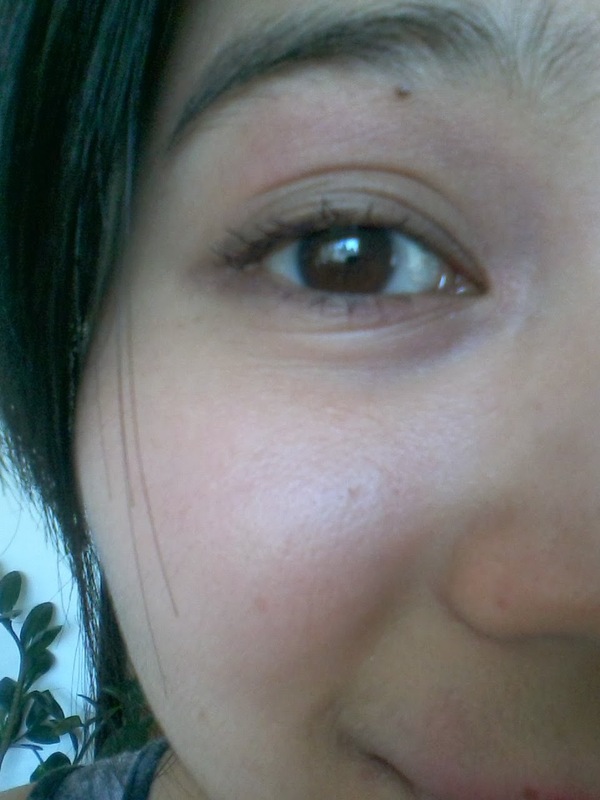 It was barely noticeable. I'm not quite sure how this would look on blonde lashes but it would probably show up better. The wand on these brushes, however, I found to work really well as a bottom eyelash mascara so the purple mascara won't really go to waste. For the price, they can't be beat for a colored mascara and especially for the blue one because it actually works. You can find something similiar HERE to them or check out your local drugstore. Oh wow the blue mascara looks so cool! too bad the purple didn't show up well. 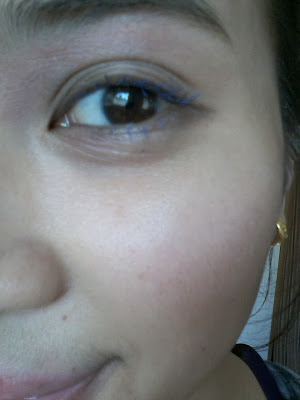 Blue and purple is perfect for making brown eyes pop <3 I wish they would sell those in the Philippines soon! Yes, it was indeed too bad the purple didn't show up! I had such high hopes for it since it is my favorite color =( but it's okay since the blue makes up for it! The blue one looks so cool!!! You may be able to find them online?? But it would probably be a lot more expensive >.< . The blue one is great! I saw these on an ad on a magazine and have been wanting to try them out. The sea blue one looks great! Great review, will def need to pick this up since it's limited edition! Yes, definitely pick them up while you still can! At least the blue one that is, since the purple one isn't really going to pop or stand out.